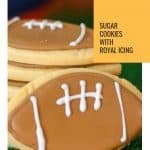 Football cookies are ready to brighten up your football tailgating, team party, or Super Bowl event. Super Bowl excitement is reaching all-time highs here in Denver! We are all cheering for the Broncos and can’t wait to watch the game on Sunday! While I am sure the usual football food like chili, chips & dip, and finger foods are going to make an appearance at many of our homes this weekend, don’t let dessert fall into the background. 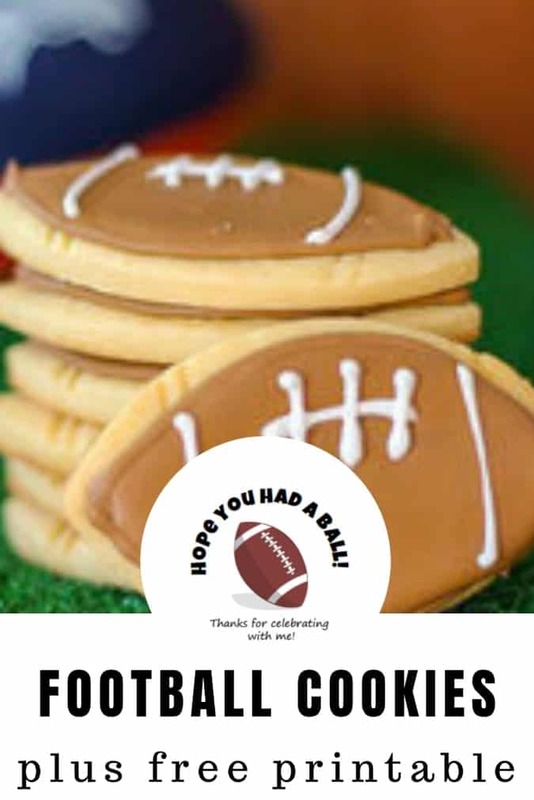 Try these fun football cookies to keep the football theme going at your party. 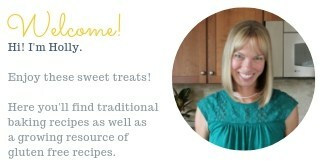 Do you have a favorite cut out cookie recipe? Go ahead and use it for these football shaped cookies. I baked the football cookies with a cut-out cookie recipe from Bridget of Bake at 350. I like making sports cookies because the shapes are instantly recognized and the colors are not complicated. A themed dessert might be just the sweet bite that your football fans need as they watch a big game. Find a football cookie cutter (mine is from a box of cookie cutters from Target) or modify a cookie cutter that you already have into a football shape. Once I used a Christmas cookie cutter that was originally meant to be a Christmas ornament. Instead I pulled out the sides slightly and turned it into a football shaped cookie cutter. Amazon has a number of football cookie cutter sets to choose from. Decorate with royal icing first with a layer of brown royal icing then add the details of the stitching of the ball with a white royal icing. These football sugar cookies are simple yet adorable! These sporty cookies would also be great for a youth football team party, a gift for a football coach, or any old weekend when football is the main event. 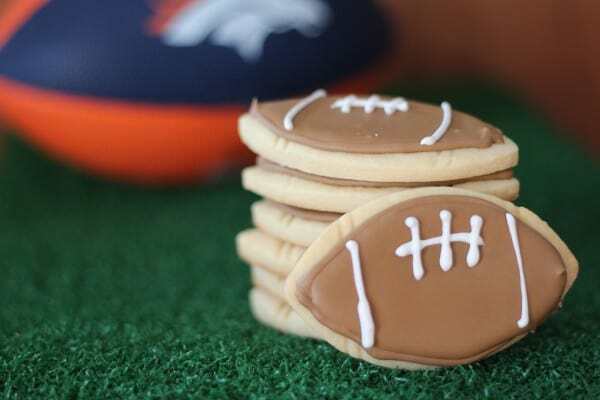 And let’s not forget these football themed cookies for your Super Bowl desserts! Get creative with the royal icing colors and cheer on your favorite college team or NFL team. We may have to wait a few more years to cheer on the Broncos but gosh it is fun to have a local team head to the Super Bowl! 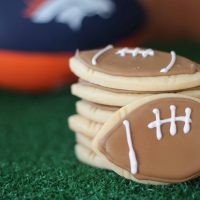 Make these fun football shaped cookies for the Super Bowl, a football party, or a sports themed birthday party! Outline the cookies with the brown royal icing. Fill in with the brown icing. Let dry slightly. A great reason to make decorated football cookies is to celebrate a birthday. 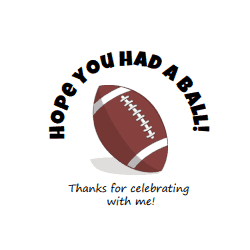 If your family is celebrating a sports themed birthday party, print these thank you labels for football party favors. Access my FREE Printables Library by joining my mailing list at the bottom of this page. You’ll receive the password via email and will be able to download a sheet of 12 labels that you can print at home. These labels are perfect for party favors or to make your own thank you notes. This file is formatted to 2 inch circle stickers from Avery product 22817. Post originally published in 2014. These are so cute! I bet they taste as good as they look. Sometimes it is more relaxing to watch a game and really not mind who wins…but here in Denver we are all cheering for the Broncos! Have a good weekend, Julie! Oh thanks, Yvette! I bet you found a great round up of football related food. Your individual 7 layer dips should be in many football-loving homes this weekend. It was a super idea! Super cute things for Superbowl! And I am rooting for the men in orange!